just in case they become off-balanced. 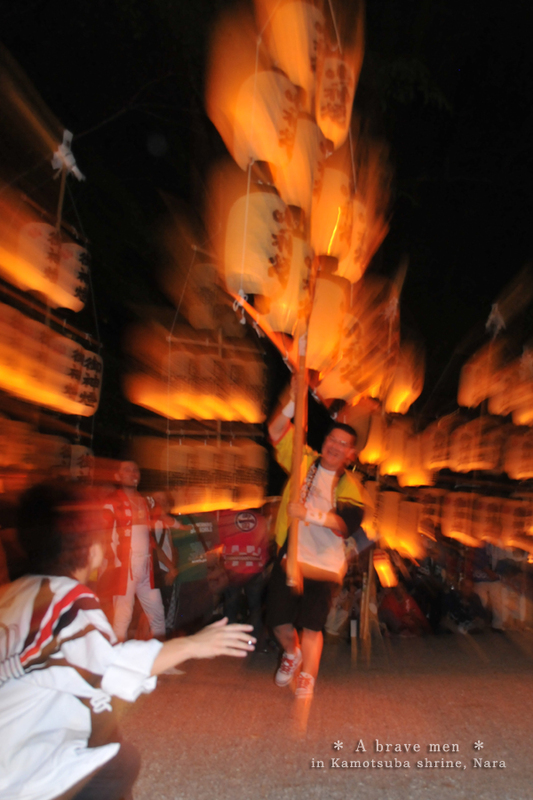 This festival is designated as intangible folklore cultural asset of Nara pref. Taken is Japanese silver glass lantern festival at Kamotsukuba Shrine.